 I am James Morris and I specialise in wedding photography, I am based in Nottinghamshire but travel the UK for all of my work . I am not your traditional wedding photographer I like to think outside the box and create something unique and personal for all my wedding couples.
" But we hate having our photographs taken "
" We are not photogenic at all "
" We are so awkward infront of the camera "
" I don't want to stand and smile a long time and waste my day "
DONT' WORRY I HAVE ALL OF THE ABOVE COVERED ! We talk , walk and have fun as we work together and a majority of the photographs you receive you wont even realise they have been taken . Even in the most set up of situations there are moments that are real , I like to call them the in-between moments and thats what I photograph for. – MY FAVOURITE MOVIE OF ALL TIME IS TITANIC. – I LOVE TOMATO KETCHUP ON RICE. – I LOVE , LOVE. What can I say, from start to finish this guy was unbelievable not at all invasive & went above and beyond, not only did he come to take stunning photos but he assisted in any way possible to ensure our day ran perfect. It was like James and his assistant were guests attending the wedding, making people laugh & generally helping everyone of our guests to feel at ease. The photos are out of this world, you’ve captured every single detail from the laughter right through to the tears and not to mention my cheeky tequila to calm the nerves 😂 I can’t thank you enough for the memories we have to reflect back on! 5* James and thank you again!!!! !